Homelessness: helping a homeless person on a non-monetary level? 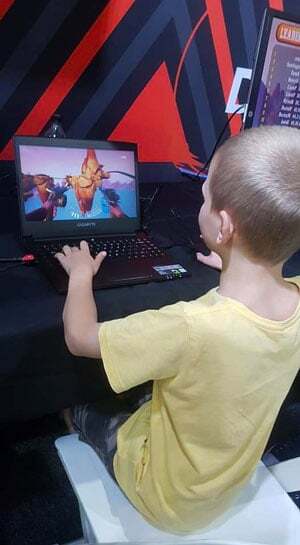 Kids video gaming addiction: who's to blame? In September 2018, Britta Hodge, a mother of six, appeared on 60Minutes to talk about her struggle with her son being addicted to video games. Being a mother and a gamer, the topic sparked my interest. Public opinion is divided. There are the people who sympathise with her, mainly because they are in the same boat as her. Then there are the people who are outraged. They think she should have pulled the cord. I’m in the latter group, and after watching the first part of the show I cannot sympathise with her. World Health Organisation says that “video gaming disorder” is a disease. Is it really? Many years ago, I had an argument with my ex-husband who said it was my fault our son was addicted to video games. I’ve never forced our son to play video games. I didn’t buy him an xbox and his own TV. In my house, children obey my rules. If I say it’s time to get off the xbox *now*, that’s how it is. My ex husband would just wait, and wait, and wait some more until our son knew he had control over his father. I remember seeing my ex-husband bringing our son his dinner plate in his bedroom because he could not stop playing. In my house, you eat at the dinner table and it’s not an option. Our son is now 19, and still rules his father. Britta explains her son has not been to school in two years. It all started with him pretending to be sick for a week. One week turned into two, then three, and so on. Have you heard of a person called a doctor? If my child is still sick after one week, or is regularly sick, surely there isn something wrong and I’ll get him checked out. She then went on about how “it’s not that easy to just pull the plug.” Isn’t it? You are the parent. You pay the mortgage or the rent for a roof over his head. You bought the console with the money you worked long and hard for. You are the parent, so why can’t you pull the plug? When my son was in primary school, he used to forget his bus pass. The driver let him get away with it a couple of times, but when it became a habit he wouldn’t let him on the bus unless he paid his fare. If he didn’t have money on him I would have to drive him to school. I gave him plenty of warnings: if you forget your bus pass one more time, you will walk to school (maybe 2km distance). After one week, I had to do what I said I would do and let him walk to school. He was not impressed. I felt so bad, that to this day I still bring it up and apologise to him, but he has never forgotten his bus pass as a result. Granted, I came from a family with a strict upbringing while my ex-husband didn’t, so our views on how to raise our children are extremely different, and that makes me the tougher parent. My children are not perfect and they both have done all sorts of things, some of them involving the police. My son still plays video games, but not as often as me. Being a parent is a tough job, but you can’t let them rule your life. Teenagers Clutter Management Should Be Taught at School! Coffee in the mornings is a must! I hunt and shoot aliens as therapy a few hours every day. Work sometimes demands that I tweet, Facebook, Pinterest and Instagram. I never leave home without my 5 inch stilettos, iPhone and of course a possible good story.